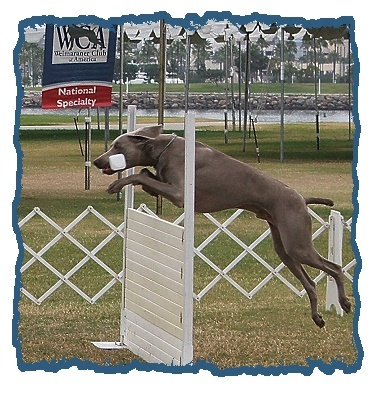 An obedience club wishing to hold an obedience trial must first meet all AKC requirements before applying for permission from the AKC. This ensures that the event will be held under AKC Rules and Regulations and that any scores your dog earns during competition are recorded on the dogs AKC awards record. To enter an obedience trial, you must submit an official AKC entry form to the trial secretary or superintendent of the trial. Entry forms can be found on the AKC website or in the clubs premium list; the premium list contains all relevant information regarding the trial, including date, location, classes offered, and judges – as well as the entry form, it is the official announcement of the clubs event. There is also an online event calendar on the AKC website that contains this information. After the entries have closed, a program showing the schedule for the judging of each class will be mailed to the owner of each entered dog. 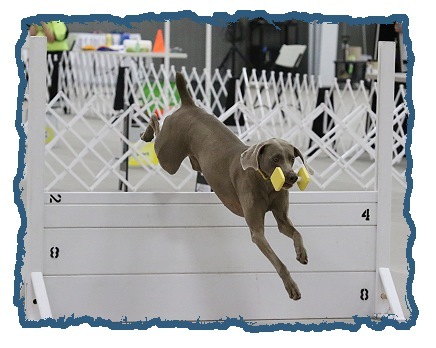 There are three main levels of obedience competition which are listed here, but there are several optional titling classes or non–regular (non-titling) classes that you can choose from if you want to try out different exercises or just for fun! 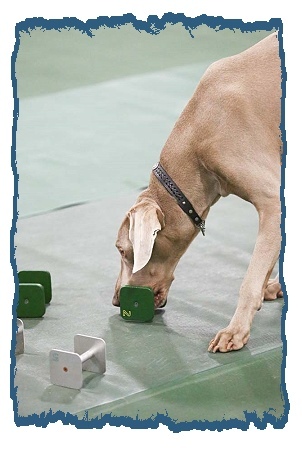 You can find a complete list of all obedience classes in the AKC Obedience Regulations. • Heel on Leash and Figure Eight – show whether the dog has learned to watch its handler and adjust its pace to stay with the handler. • Heel Free – The dog and handler perform a heeling pattern for the judge with the dog off-leash. 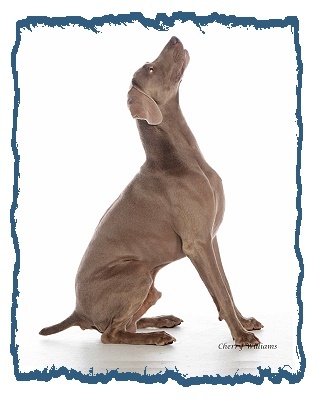 • Stand for Examination – The dog must stay in a standing position as its handler walks a short distance away. The judge will then lightly touch the dog on the head, the body and the hindquarters. The handler then returns to the dog. • Recall – Demonstrates that the dog will come to the handler on command. • Long Sit (1 minute) – The dog must remain sitting in the presence of other dogs while the handler stands across the ring. • Long Down (3 minutes) – dog must remain in a down position in the presence of other dogs while the handler stands across the ring. • Heel Free and Figure Eight – Same as Novice, but off leash. • Drop on Recall – The dog must come to the handler when called from across the ring and on the handlers command or signal drop into a down position and then on command or signal from the handler resume coming to the handler. • Retrieve on Flat – Demonstrates a dogs ability to retrieve an object on command. 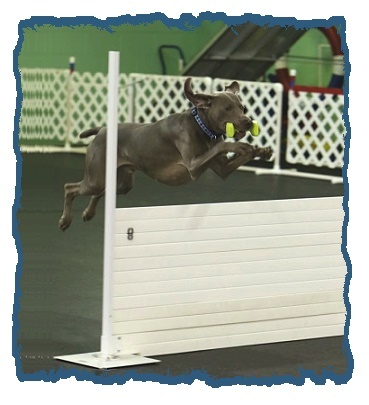 • Retrieve Over High Jump – The dog must jump over an obstacle in order to retrieve an object and then jump the obstacle again to return it to the handler. • Broad Jump – This exercise shows that the dog is able to jump a width that is twice as long as the dog is tall. • Long Sit (3 minutes) – similar to the long sit in Novice, but the position must be held for a longer period of time with the handler out of the dogs sight. • Long Down (5 minutes) – dog must remain in a down position with the handler out of sight. • Signal Exercise – shows the dogs ability to understand and correctly respond to the handlers signal to stand, stay, down, sit and come. No voice commands are given; only hand signals are allowed. • Scent Discrimination – shows the dogs ability to find the handlers scent among a pile of articles. • Directed Retrieve – proves the dogs ability to follow a directional signal to retrieve a glove and promptly return it to the handler. 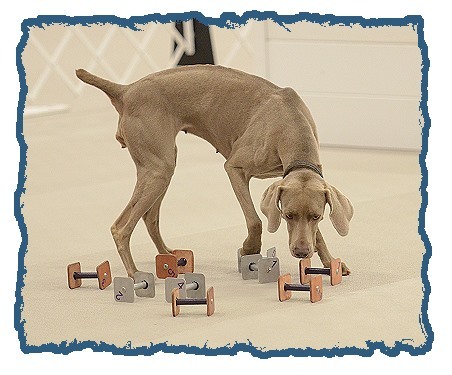 • Moving Stand and Examination – the dog must heel, stand and stay as the handler moves away. The dog must stay and accept an examination by the judge and return to the handler on command. • Directed Jumping – the dog must go away from the handler, turn and sit. Then, the dog must clear whichever jump its handler indicates and promptly return to the handler. 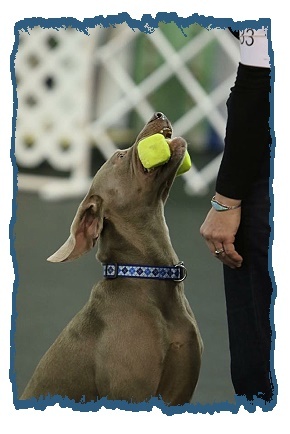 A qualifying performance indicates that the dog has performed all the required exercises according to AKC Obedience Regulations and justifies the awarding of the obedience title. A qualifying score is earned when more than 50 percent of the points are awarded for each exercise, with a total of at least 170 points. A perfect score in any class is 200. 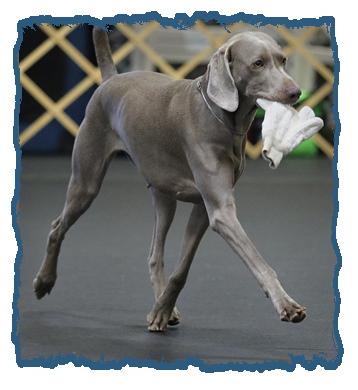 All dogs that have received a qualifying score in their class receive a dark green ribbon to indicate that they have earned a “leg,” or qualifying score toward their title.